Doing some work on 'how to sink a galley'. It is not straightforward. They just won't stay down ! even when full of water there is little chance of it disappearing beneath the waves. A galley which had been at sea some time without being dried-out and was burnt-away to some degree above the waterline may have gone down but the usual occurrence was that the hull would just settle in the water. The result of a very violent ram attack could cut a ship's hull in two. 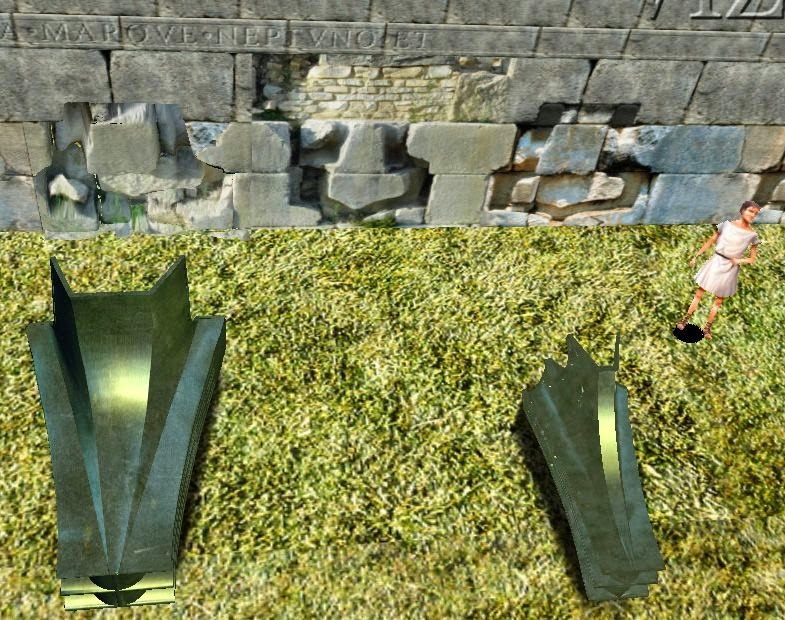 In this case the fragments may capsize and the bow section, for example, may float ram-down under the weight of bronze it bears. The main effect sought by a ramming attack was to breach the hull of the target and render it unmanageable as it was flooded and swamped. 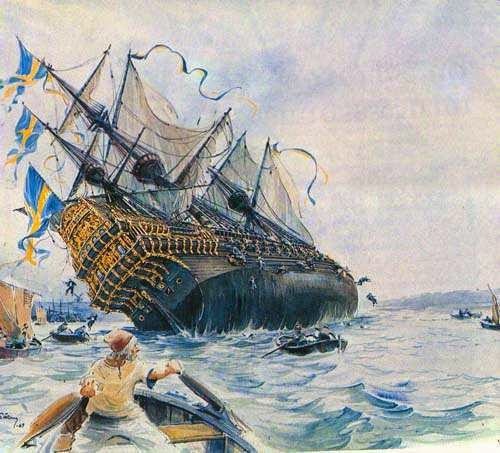 The victor in an ancient sea battle preferred to recover damaged hulls for salvage rather than watch such expensive items sink or burn. According to Coates if a trireme's bilge was completely full the ship would not suffer much in terms of performance except the maximum wave-height it could function perfectly in would be reduced by a few centimetres. This might be expected, with the bilges constructed to have capacity within limits the ship could usefully tolerate. 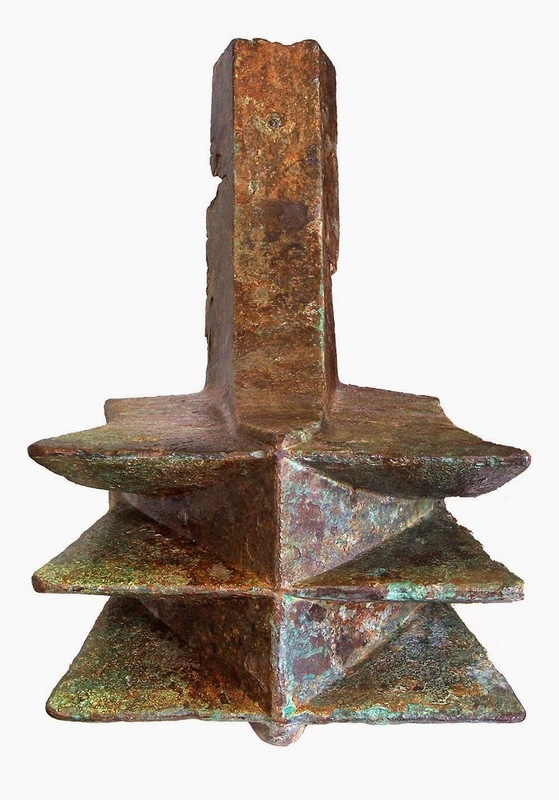 and later ships were equipped with Archimedian screws,- worked by hand or treadmill - treadmill bucket chains or hydraulic pumps to remove water. 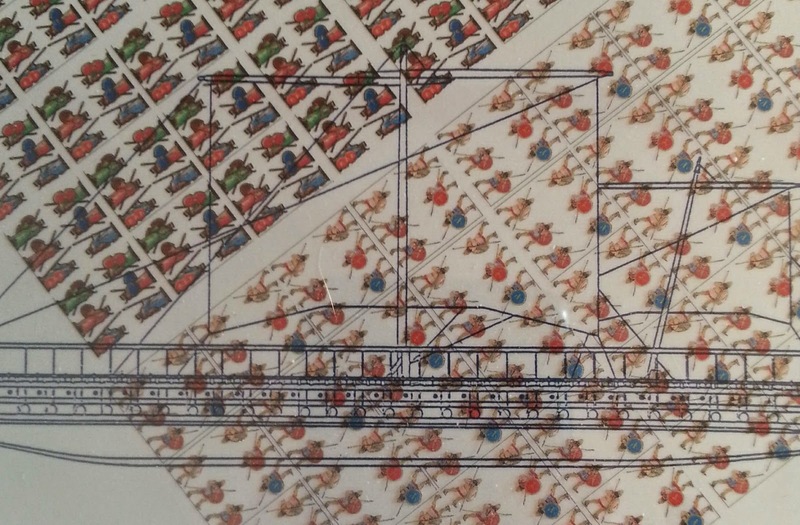 There was little place for such devices on a trireme but a larger freighter or polyreme could have been equipped with them. 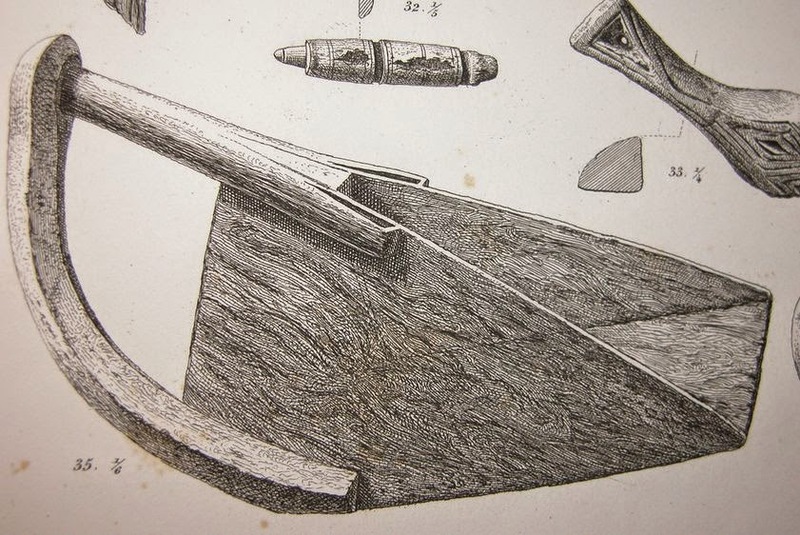 By the time of Vitruvius in the first century BC such devices were commonplace. The post of baler was a lowly one for an older or duller crew-member. He used his antleteria or bucket to keep the bilge levels down. In a pinch he would be assisted by more men. 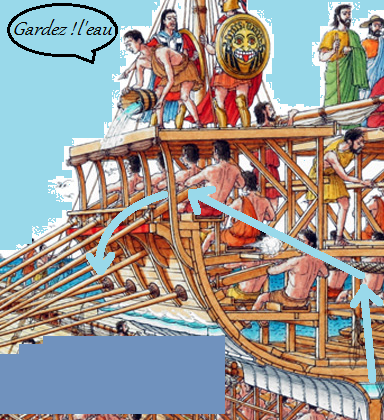 On a trireme there were about 10 deck crew in two teams who could help before oarsmen would be called upon. 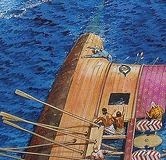 In a trireme it would have been no easy task to bale at a fast pace in the restricted space down even below the world of the thalamian oarsmen. The bucket had to be filled, handed up to a level where it could be dumped overboard and returned below. The same buckets wooden or linen, could be used to fight fire if such occurred, though fire at sea was rare in the age of the trireme. Later, larger ships had kitchens with fires and used fire as a weapon. 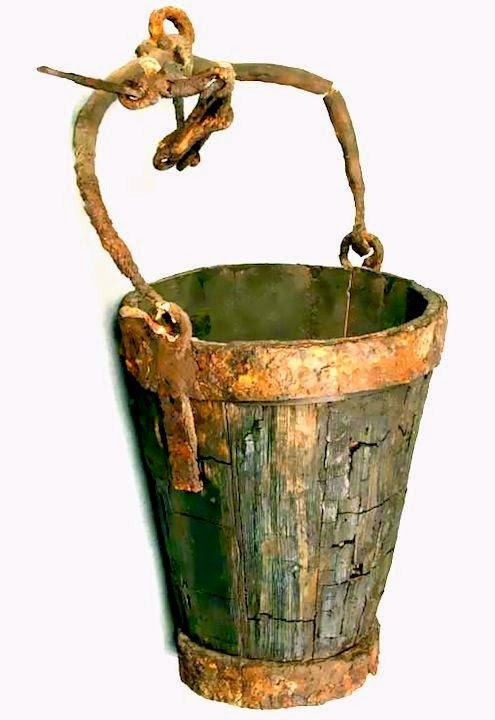 Roman bucket. Owner kicked it, down a well, long ago. If the function of the ram was to overburden the poor old baler and thus disable his ship can we figure-out the process in a little more detail ? HOW MUCH WATER COMES IN ? To work-out how much water comes in-board we must determine the size of any expected hole. To determine the size of hole expected we can examine the size of the hole-maker i.e. the ram. We now have about a dozen rams to measure and they can be associated with various classes of ship. This gives us an approximate range of holes to put into any calculation. The area within the cutting fins is the 'driving centre' of the ram and this is the size of the hole. Circa. where b= breadth, h= height in metres, of hole, for the part of the aperture below the waterline. Here we can see how much flooding each ram can generate. ACTIUM EPTEREIS(7) 95 C. 46 ! It is a little hair-raIsing to find that the rams of larger ships create holes that allow massively more flooding. The larger vessels displacement increases as a cubic value as their dimensons increase so they could tolerate damaging each other but if a larger class ship hit a smaller one we can see the effect would be catastrophic. The Athlit ram is probably from a 3. This shows that the rams from egadi are from lighter warships. The Actium rams are from Anthony's monsters. HOW MUCH WATER CAN BE BALED OUT ? If we take a standard bucket to have a capacity of .035 of a cubic metre or 33cm deep, wide and high(large bucket!) then with the ten deck crew working fast enough to each dump two buckets a minute - a back-breaking rate! - then they can remove 0.7 cubic metres a minute or 0.7 tonnes. This rate will have no effect upon the flooding created by a decent ram attack. Even if we get the whips out and increase the work rate of the poor balers by a factor of 3 then they can only remove less than half of the water coming into our modest hole. From this we can see that a ship's crew would rapidly appreciate the severity of a successful ramming attack on their vessel. They would rapidly realise the inevitable result. The ship's officers and the epibatai would have a difficult job to persuade balers to work at this Sisyphian task or to keep the thalamians at their oars as the water level rose! WHAT IS THE EFFECT OF FLOODING ? Within a minute of a successful ram attack from another ship of the same class we can say a trireme may have taken 5 tonnes of water onboard. With the deck crew baling, the ship will take on 4 tonnes each subsequent minute thereafter. The effects of this on a ship have been calculated by John Coates. Firstly, the displacement of the ship increases, causing it to settle in the water.This leads to the vertical centre of gravity of the ship being lowered. It 'settles ' down into the water. However, a more sinister effect is that the mass of water in the ship has its own centre of gravity and its own life, sloshing within the ships structure. The higher up the ship the water reaches the worse is the effect of the 'sloshing'. 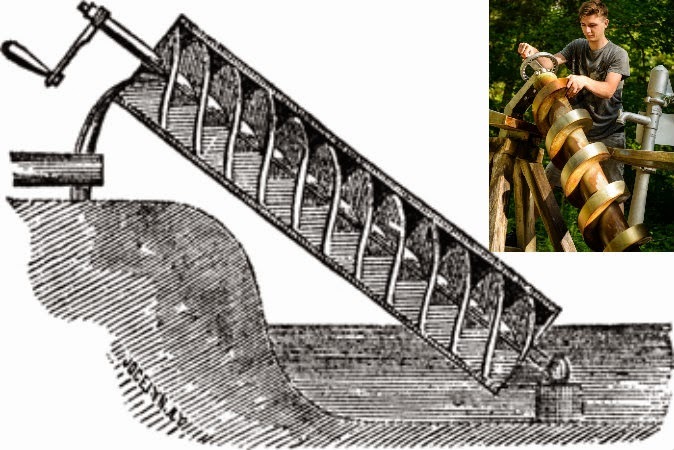 - the inertia of the water mass will accentuate any movement of the vessel and make slight imbalances in the ship create extreme rolling or pitching. This is a resut of the Free Surface Effect of an unrestrained body of water within the hull. 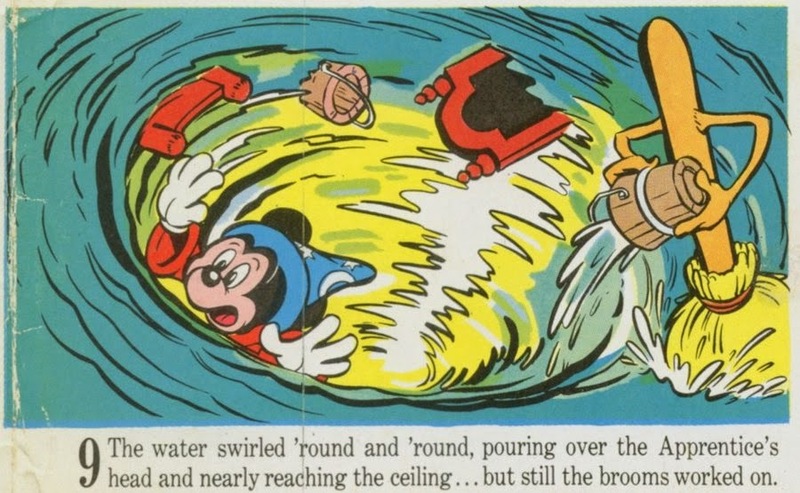 Also, as the water level rises inside the ship it will settle deeper into the water. 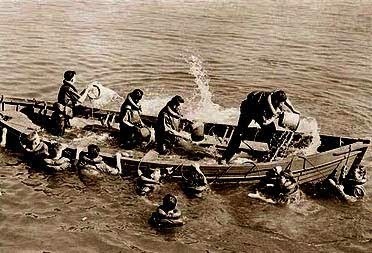 To fill the bilges of Olympias would take 7,5 tonnes of water and cause a settlement of 6,7cm. 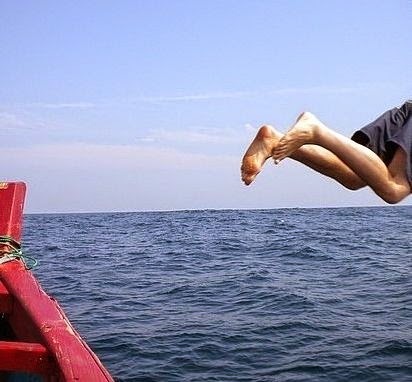 The instability created would not be felt by the oarsmen or helmsman and stresses on the hull are the equivalent of taking a cargo onboard or 75 crewmen. This amount of water would be inboard less than two minutes after being rammed. If the flooding continues for a further 5 minutes 30 tonnes of water is now inboard. With 30 tonnes of water inside the hull of a trireme the settlement will now be 25cm. Looking inside the hull one would see water was lapping over the floor timbers. Maybe not such a threatening sight. But now the ship is totally out of balance and requires very careful handling. A sharp turn could capsize the ship. Rowing becomes ineffective except in a flat calm. 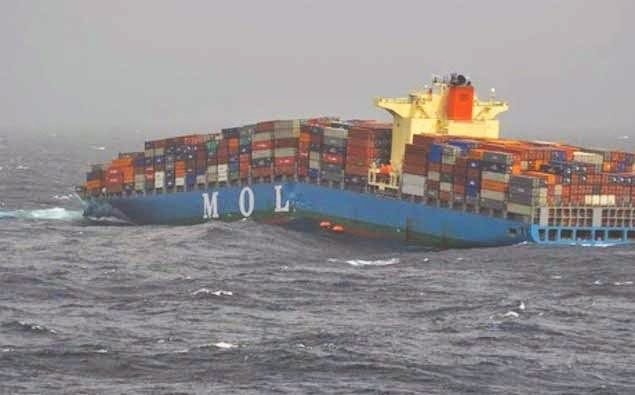 The increased displacement - the ship now effectvely weighs 70 tonnes - would overload the hull and it could split open in a swell as it 'hogged' when the bow and stern sag into wave troughs. 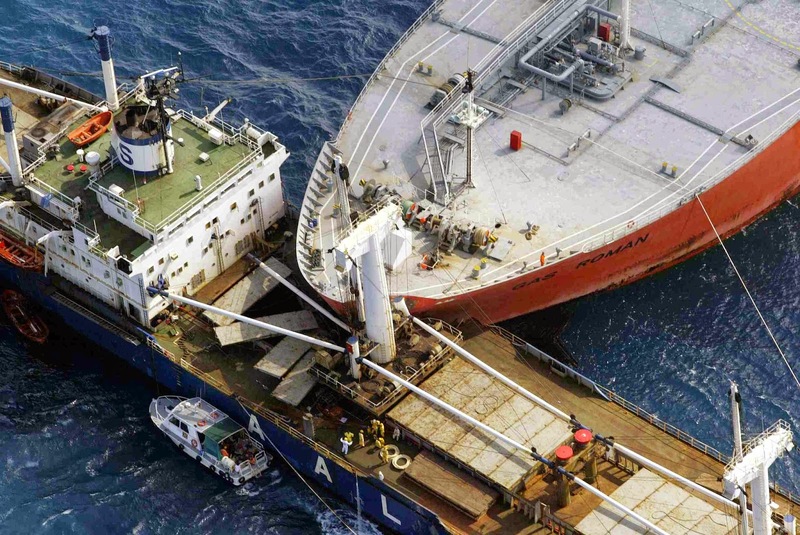 A weak-hulled container-ship hogs and breaks-up. 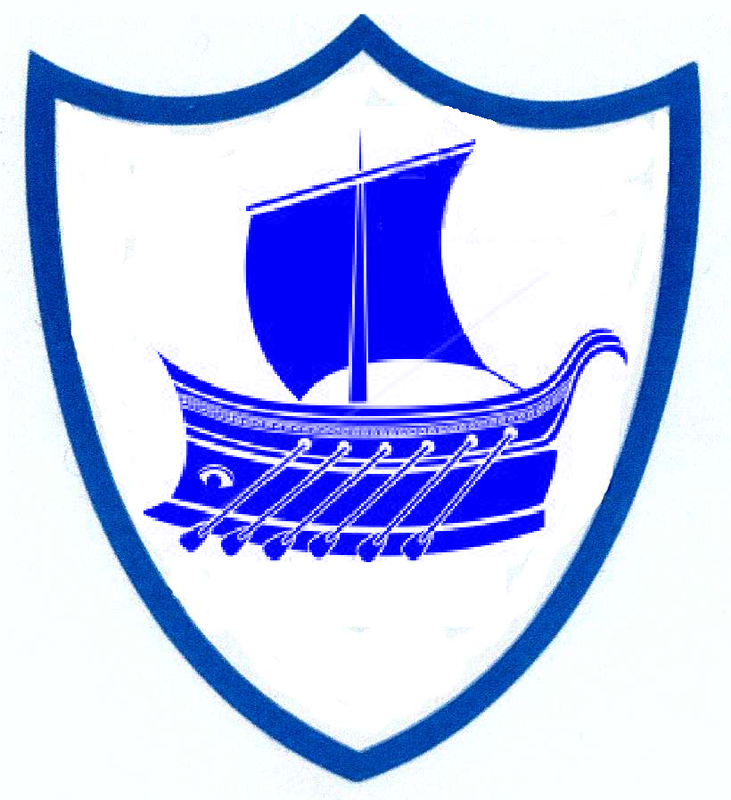 Five mnutes after being rammed by a ship of its own class a trireme would be disabled. The oarsmen could not propel the ship which now weighed 50% more than in battle order. The ship would roll if turned or if many men move about. At some point the sloshing water mass inboard would probably throw the ship onto one or other side from which it could not recover . Water would enter the oarports and its fate would be sealed. The capsized ship would not sink but steadily settle in the water. Oarsmen would emerge from their confines and their presence on deck would only add to the hulk's instability. If the sea was a flat calm then a holed ship could make some headway if carefully nursed along by a crew who did not panic and remained at their stations. More likely the confusion and panic of being rammed combined with visible enemy nearby would rapidly seal the fate of the ship. If there was a significant swell or the ramming impact and hole was large enough then the hull may split as the displacement exceeds its strength. 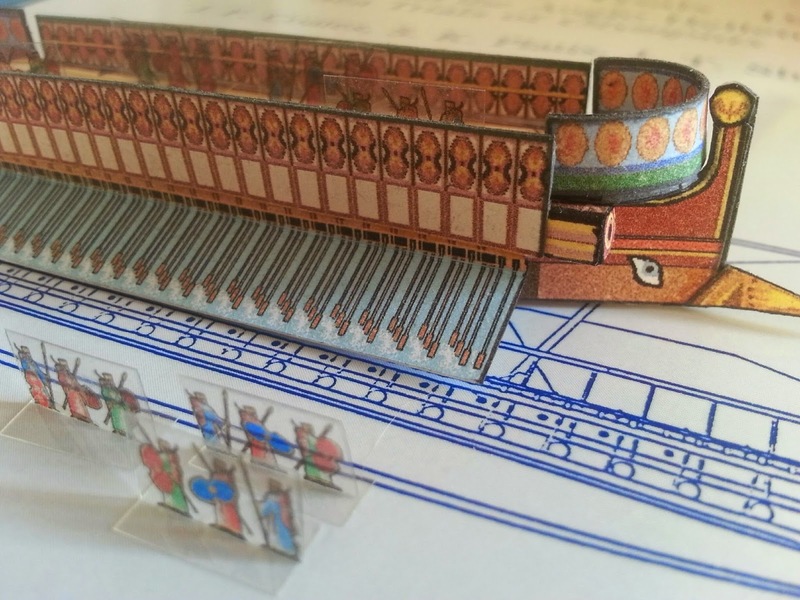 Once successfully rammed a trireme was doomed, and the crew well knew this ! Could onboard discipline keep order as the inevitable happened? but that same crew when abandoning ship could leave the trierarch alone and pondering whether to flounder with his vessel in precisely 24 seconds ! The ancient galley sea battle was a high-stress duel between rapier-armed fighters who sought to keep their balance and poise, keep their guard up and look for the opening which could lead to a well-timed thrust into the enemy's vitals. Once pierced, the target was doomed and its combat role in the battle soon over. Seeing as how the Great King of Kings often tends to be portrayed as a rather androgynous character is it not rather appropriate if he should get some Trans-Warriors to go along with him on his Persian Pride cavalcades into foreign parts ? I made a little experiment to try and improve on card soldiers. I like my card soldiers and consider they are a good solution to representing figures at small scales and go well with the card ships.A drawback with them is the opaque background they come with. Cutting the figures out at this size is not an option. Reasoning that a transparent background could hide the card-ness of the card figures printed some off on transparency acetate to create some Trans-(parent)-Warriors. But, sadly, the improvement was not without a down side. The degree of transparency is just too great. They look quite colourful and translucent but when stood against anything tend to disappear. Quite a nice representation of some modern high-tech camouflage technology but not good at this scale to have vanishing troops. Now you see them. Now you don't..
To see the Trans-Warriors alongside the card ones shows up how much easier their dull cousins are to see and also to handle. Greeks, Trans-Warriors and.. is that a Gay Pride float ? This long-sighted 'mature'- gamer reluctantly has to admit that not all good ideas have a practical application. As a consolation I have discovered a great way to make fire and smoke markers!